Our website is playful and fun, and so are we, but rest assured we take our commitment to customer service and continuous improvement very seriously. The Human Resource holds at its core the purpose of helping businesses be the best at what they do by minimizing the burden of employee management related tasks. The Human Resource was founded by Laura Sankovich in 2004. In her previous life, Laura’s work focused on HR issues in government, non-profit, and corporate environments. Sure she has a BA (DePaul University, Chicago), an MBA with HR Development emphasis (Webster University, St. Louis), and a PhD in Leadership Studies (Gonzaga University, Spokane), but what she really has is an intuitive sense of her clients’ human resource needs backed by years of practical experience. She understands exactly how beneficial it is to have your HR moving along in a heavenly humdrum manner. 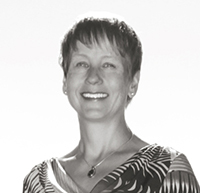 In addition to leading The Human Resource, Laura holds a faculty position at Capella University. She supports her local community with involvement in many organizations including Local Food Share, Coeur d’Alene, ID Chamber of Commerce, and the Youth Employment Council. Do you have a project management puzzle? A mergers and acquisition quandary? Todd Sankovich is the resource at THR for you. 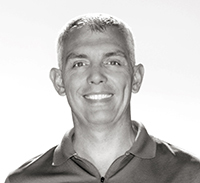 Todd is a Certified Project Management Professional with expertise specifically in mergers, acquisitions, reorganization, and market share growth. He has orchestrated several successful M&As with companies he has previously led and also through consultation in his role as a Director for a Fortune 500 franchising company. For all the details of Todd’s radical resume, please visit his LinkedIn profile here. 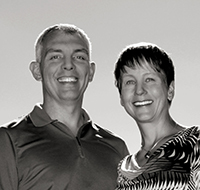 Originally from Chicago, Laura and Todd, when not busy at work, enjoy cooking, wine, kayaking, paddle boarding, and playing outdoors year-round in picturesque Coeur d’Alene, Idaho and its surrounding communities. They have a beautiful daughter and a spunky black lab, and both share the couple’s adventurous spirit and a love of nature. They embrace a work hard, play hard mentality with dedication to integrity and service woven into every aspect of their lives. The Human Resource assisted my company in EEOC audit preparation. They offered realistic solutions in timely manner and worked through the challenge of office politics to ensure full compliance. We passed the audit and formed a stronger team as a result!